Are you planning on buying a parcel of Maine land this year? If so, you need to know a few things before you start, especially if you are not from here and/or have never purchased land before. What down payment would be required? Is there a limit on how many acres they will accept? Do they do business in Maine? Do they have approved appraisers and title companies in Maine? Is your credit score high enough for their land loan program? If you find out they will not do the loan, you just saved yourself hundreds of dollars in travel expenses. There are a few solid lenders who finance raw land in Maine. So if you need financing give us a call to get the list. Also, many sellers will consider owner financing their lands. Is the zoning in line with your intended use? Is the property in a tax program that prohibits your intended use? Are the soils OK for your use? Does the property have utilities to it? If not and you require them, how far and how much to extend them? Does the property have year round access? The next item of preparedness that I nearly always forget to tell my customers before they get here is the appropriate clothing to wear for a visit to Maine. If you are looking at forested land, for example, and are unfamiliar with Maine, the forest here can be very dense and the ground uneven. Here is a checklist of the minimum gear you should have with you when you come. The final question to ask yourself is are you confident enough to represent yourself or should you hire a broker to help you with the process. If you have the time you can do your own research and represent yourself in the process, but if you do not have time a good land broker is worth a look. 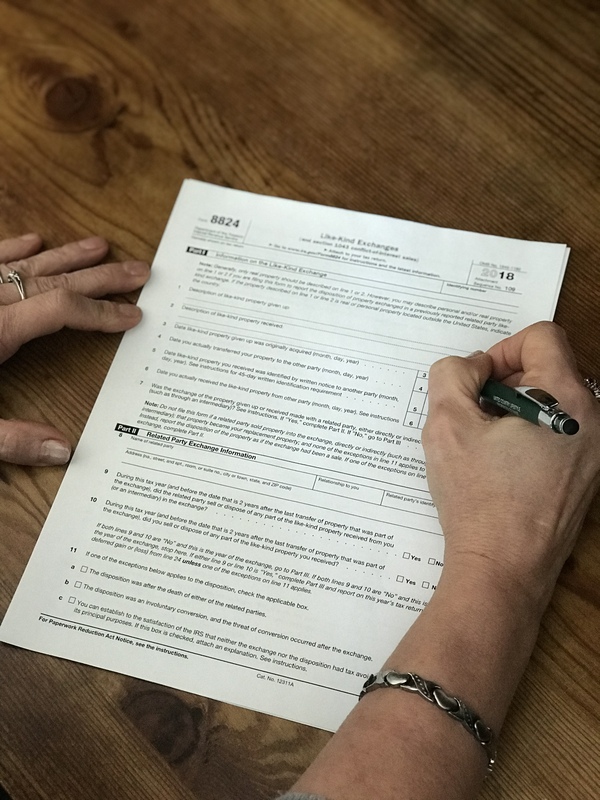 Maine does require a real estate agent representing a buyer as a client to have a written buyer brokerage agreement, so if you do decide to go this route be sure to carefully review the contract to see what the agent's and your obligations are to each other. Thanks for this! Can you send me the list of the Maine lenders that you're aware of that will finance a land-only loan? This is an improved lot, so not just raw land. We've found Maine Savings but that's it so far. Thanks for any help! Can you send me a list of lenders for the Brooksville, ME area? Thanks! A Maine Tiny House For Sale - It's In The Trees! Tiny homes are all the rage across the nation. I wonder if this is a trend driven by a desire to simplify our lives? No matter the reason a tiny home certainly has some upsides like reduced ownership cost from heating, electric, maintenance and property taxes. 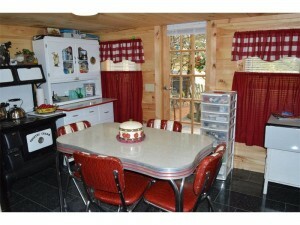 For those interested in the tiny home concept, we have a newly listed property in Springfield, Maine you need to see. Not only is this home tiny, but it is built as a tree house. The multi-level home is perfect for a simplified primary residence or the ultimate get-away second home or sporting retreat. 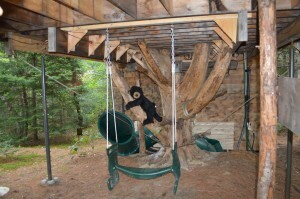 The 544 square foot tree house is perched in a pine grove on 23 +/- acres fronting for about 1,000 feet on babbling Wrights Mill Brook. The land for sale with this unique home is a mixture of forestland, fields, apple trees and meadows. The home is located on a secondary road and is the last home on the town maintained section of the road. Privacy should not be a problem here. Springfield is located on the edge of large forestlands with lots of game and within a 10 minute drive to the boat launch of the Grand Lake chain of lakes. The lakes include Junior Lake, Sysladobsis Lake, Scraggly Lake, West Grand Lake as well as other lakes and ponds. For the outdoor enthusiast there is no better location. ATV/Snowmobile trails can be reached from the property. Call 800-286-6164 and ask for Traci Gauthier for a chance to see this one of a kind tiny home. I've produced most of my homes electricity for several years now. Seven years ago I installed a 10 Kw Bergey wind turbine and three years ago I added an additional 3000 watt solar array with battery storage and inverters. At peak production with both devices I am producing 13,000 watts of power on a sunny and windy day. On a monthly basis I have seen as much as 1200 kilowatt hours of production from my turbine and an additional 360 kilowatt hours of power from my solar array. The average home uses 600 kilowatt hours of power on a monthly basis, so at times I am able to produce more power at my home than two average homes in the U.S. consume. This production ability came at a pretty steep upfront cost. I have around $60,000 in my turbine and about $20,000 in my solar array with its associated inverters, batteries and top of pole mount. I have read in various places studies showing the costs for energy conservation compared to the costs of energy production. The number that I have seen is on the order of for every $1.00 spent in conservation, it would take about $8.00 spent to produce that amount of energy. So what does this have to do in real life when thinking about building an alternative energy system? Well quite simply the less energy you really need to produce to live comfortably, the smaller the investment you need to make to produce that energy. A well thought out off-grid home is going to be well insulated as well as well positioned to take advantage of passive solar heating, natural lighting and have efficient electrical appliances and lighting. The lifestyle of the inhabitants of that home will be different as well. They will turn off lights when not in the room. If they watch television, they will turn it off when it is not being watched. Pretty common sense items you would think, but not in reality. It is amazing the people that I have had as guests in my home that leave the lights on, leave the television playing and just waste electricity. I guess they either believe since I produce my own, it is free to waste it. It just takes a second to turn off appliances not being used, and all that conservation adds up pretty fast when you figure it is an eight to one return. The inhabitants of a well designed off-grid home will most likely heat with wood, cook with propane or natural gas, and use efficient LED lighting in the home. The electrical appliances will be energy star rated and they will decide what is truly important to them. The home will probably not have a dishwasher, although it could. 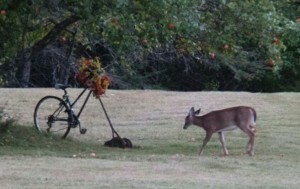 It depends on what they consider necessary for their lifestyle. I have seen some pretty amazing properties that were built off-grid and produce all their own electricity. I have also seen some pretty modest homes with modest energy production investments with above average energy consumption as well. Utilizing a conservationists approach to living your life will yield large dividends in money saved and still living comfortably in an off-grid home. Decide what is important to you, what you could use less of, what you can get by without entirely and have an appropriately sized system installed for your home. 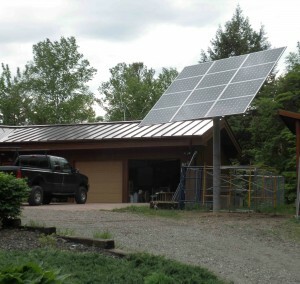 A good friend of mine with hundreds of off-grid system installations under his belt has stated that he never tells anyone that it can't be done, what he says is "how large is your budget?" Eight to one adds up pretty fast. This newly listed forested lot for sale in Concord Township, Somerset County has all of the components for quality recreation and investment. When buying land many of our customers have a list of similar requirements. Here is a list of the most commonly requested features which this lot enjoys. Good Access - A parcel of land that you cannot legally get to has reduced value. The savvy buyer will be sure the acreage they are looking for has a good deeded right of way or fronts on a maintained public road. Care should be taken to certify an apparent access is a legal one. Power - Some customers will consider off grid locations, but the majority of people like the convenience of being on the grid because it is simply cheaper and easier. 136 +/- acres Concord Twp - Little Houston Brook Road frontage with electric at street. 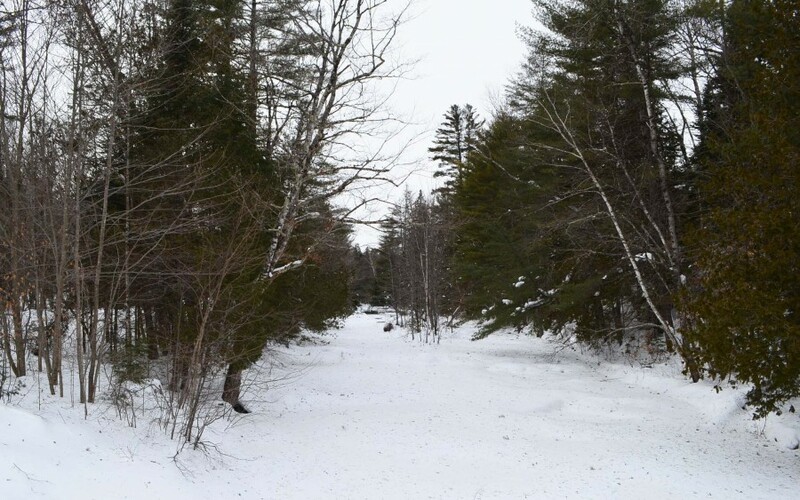 Dry Land - Maine buyers know that finding a large parcel of property that is completely free of wetland is probably impossible with all the streams, ponds, vernal pools and forested wetlands in our state. They look for a good percentage of dry land with soils that promote the growing of trees and other plants. The dryer the land the more options for building sites and future development there will be. Water Frontage - Almost every potential buyer either wants to be on or near some kind of water. Man is naturally drawn to wild rivers, streams, lakes and ponds for the recreation, views and resources. Interior Roads - On larger tracts of land having a road or trail system is a great advantage to better use the land. The best parcels have a road through the property that makes available different building sites and a reduced cost for managing the timber on the property. Views - It is difficult to put a value on great views, but most customers hope to find them on the parcel they purchase. Nearby Recreation - When buying a property location is a big consideration. For those investing in land for recreation, things like maintained trails for snowmobile, ATV riding and hiking are a big benefit. Nearby waterways for fishing and boating appeal to the outdoor minded buyer. Another important consideration is the culture in the area. Do the local residents also appreciate the natural environment and are there nearby businesses and services catering to the rec buyer. Timber - Not all buyers are focused on commercial timber value, but few desire to own a recent clear cut. As an investment, timber has always been a pretty safe bet for the long run. Healthy stands of trees of various ages, quality soils for better growth and the proximity of nearby markets for the harvested timber all will be considered by the educated investor. If you are reading this and are like many of our other customers looking for the features listed above, this new listing in Concord Township has all of these features. 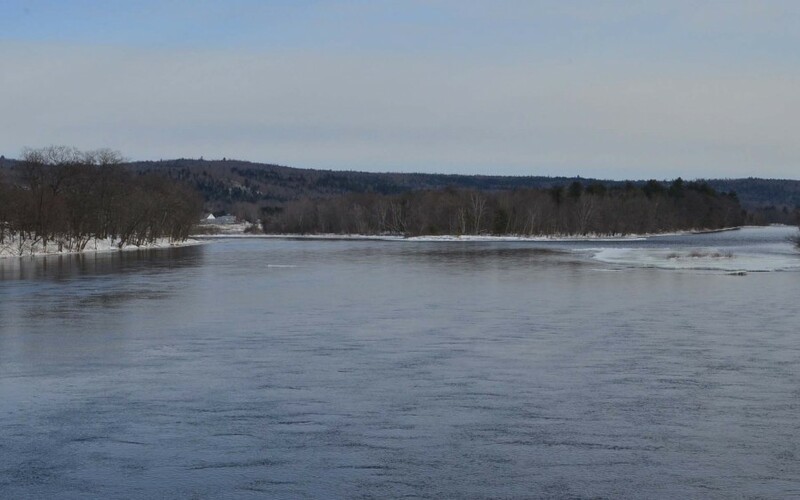 It contains 136 +/- acres of wooded land with frontage on a 4 season road, electric at the street, frontage on a mountain trout stream, some quality trees, interior road and just minutes from the Kennebec River and other recreation. See more details at our LISTINGS or call or email for a complete property information package.